Okay, what's up with the injuries lately? First, I return from an almost 2-month absence due to a knee sprain, then 2 weeks later I get a concussion. Sami Salo has got nothing on me! Hey, as long as it doesn't affect my chewing and digesting, it's all good. Fortunately, I didn't miss any Friday night games due to my latest injury since we had a bye week. Upon returning, I got a shutout, which prompted my team in suggesting I get more concussions. Uh... No. 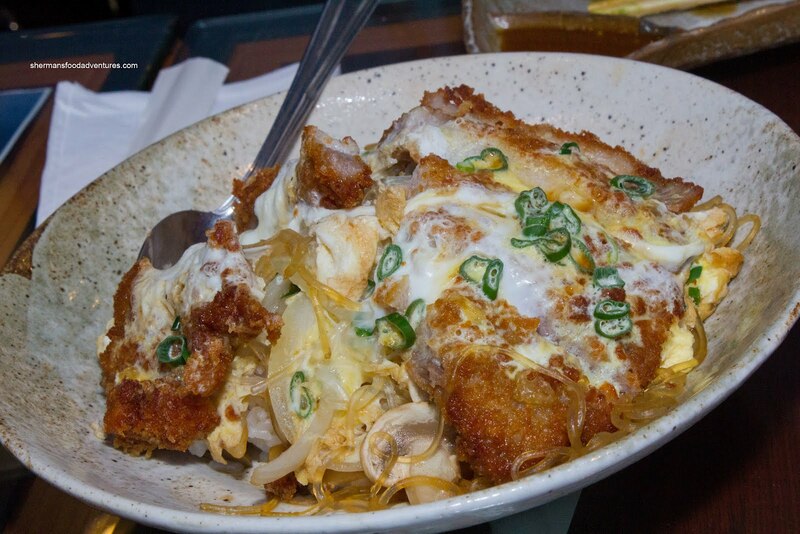 So of course, the thing I look forward to the most on Fridays is not the game itself, but the food that follows. Originally, our plan was to check out The Charlatan out on Com mercial, but that was quickly quashed since the place was packed. Quickly scanning the other choices nearby, Milhouse nixed the idea of Marcello's since our last visit there was a test of our patience. Hmmm... 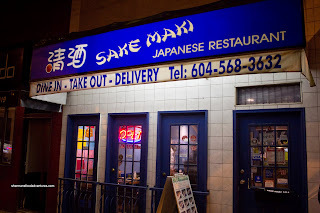 I spied Sake Maki across the street and since there were no objections, that was to be our place for eats. Joining us were Gordo's cousin (Dragon Lady) and friend who really didn't eat, but were content to watch me take photos and notes. We started the meal off with the Assorted Sashimi which consisted of 3 pieces each of albacore tuna and sockeye salmon, 4 pieces of tako, 2 pieces of pacific salmon, 1 dollop of chopped scallop and 1 twirl of tai. Making up for the lack of portion size was the quality of the items on the plate - aesthetically and texturally pleasing. Next up was the Toro Avocado with Yuzu Dressing. 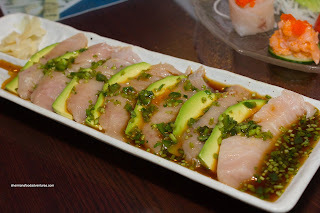 In between the ripe slices of avocado were thick slices of toro. Although this was not bad, I felt the soft toro with the even softer avocado was mush-on-mush. Dragon Lady suggested if the toro had been sliced more thinly, it would've made a difference. I would have to concur with that sentiment. The citrus notes of the yuzu-shoyu sauce lightened the texturally-challenged dish. 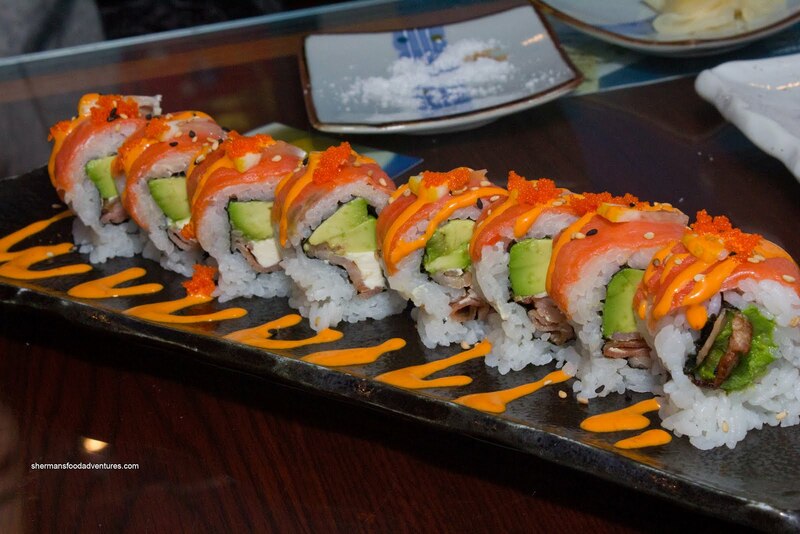 Due to our hunger pains, we went ahead and ordered 4 specialty rolls beginning with the ever-so-typical Dragon Roll. It is worth noting that all of their specialty rolls were only $8.95 each, which I consider a reasonable price. Unlike most versions of this roll, the inside consisted of avocado and ebi tempura rather than imitation crab meat. 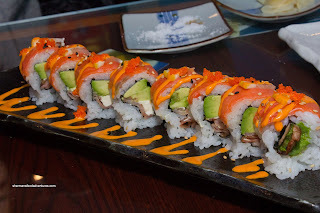 On the outside was unagi, tobiko, unagi sauce and sweet mayo. This was pretty good with quality ingredients and a freshly fried ebi. The one thing that could've been better was the sushi rice. I found it dense and lacking in flavour. 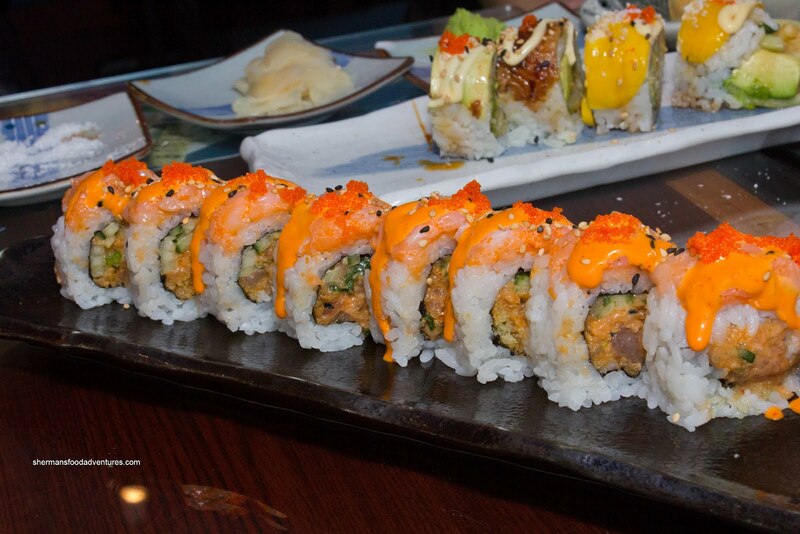 Dragon Lady called it the curse of the Chinese-run Japanese restaurant sushi rice. I am going to cut the place a bit of slack because we arrived 15 minutes to closing and the rice may have not been in the best state at that time. For our next roll, the Ebi Tempura with Mango & Coconut was presented missing the coconut. Turns out Gordo is not a big fan of the stuff. So we had to resort to having it served on the side. Too bad for him because I felt that the coconut was the best part of t he roll. 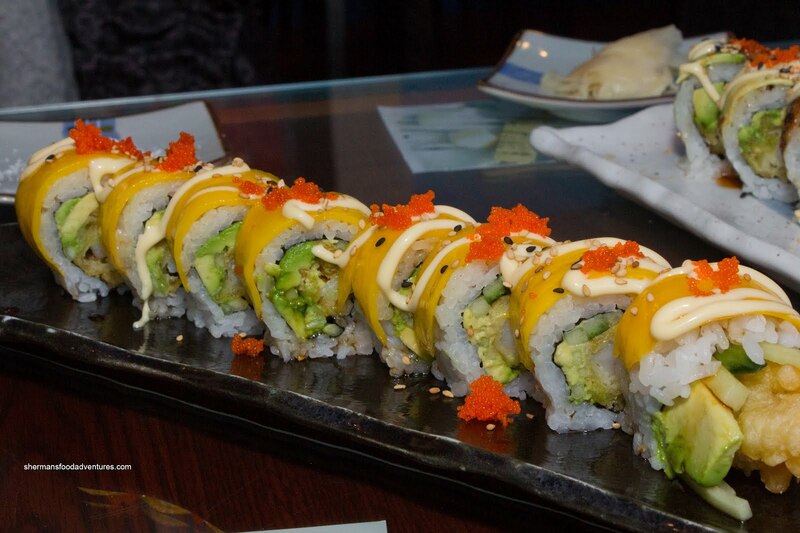 With the same good filling as the previous roll, the topping of sweet & tangy mango was complimented well with the aromatic coconut. The flavour was very tropical and pleasant. 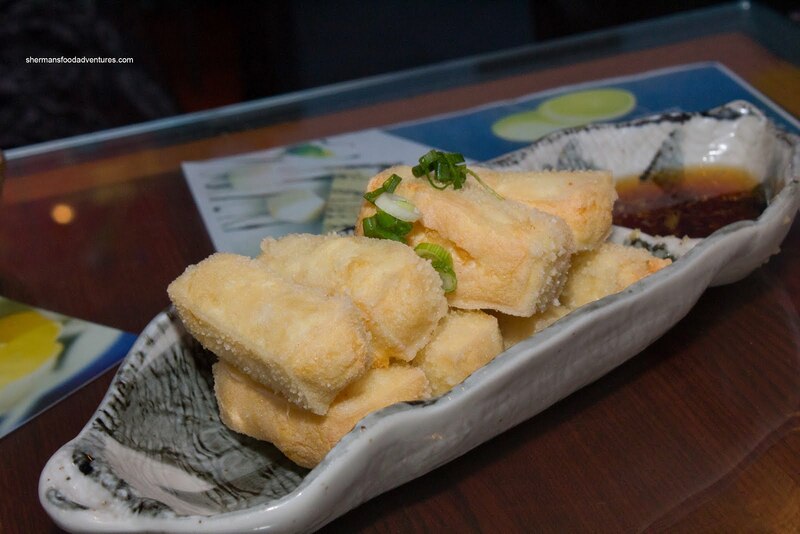 As a break from the rolls, we got the Agedashi Tofu next. It came out piping hot and crisp. I loved how they didn't serve it in the dashi sauce because I hate soggy Agedashi tofu. This was good, but I would've loved to see some grated daikon though. 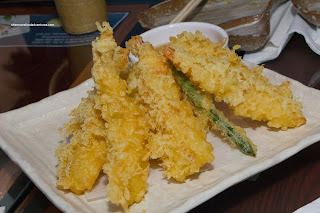 Moving along to another fried item, we had the Assorted Tempura. At first glance, I was concerned with the abundance of tempura batter. However, it was crisp all the way through and not doughy at all. As with the ebi tempura in the aforementioned rolls, it had a nice texture and was sweet. Okay, back to the rolls. We had the Spicy Girl next and really, it was not really all that spicy. Mind you, Japanese food is not supposed to be kick-in-the-pants spicy either. Normally, I'm not a huge fan of cream cheese in any of my maki sushi, but this was made more bearable with bacon and avocado accompanying it in the middle. 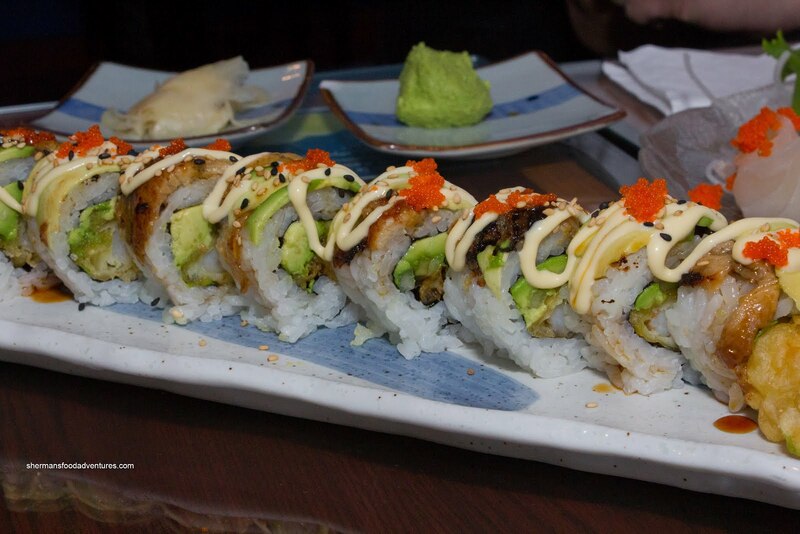 On the outside was smoked salmon, lemon rind, tobiko and "spicy" mayo. This was probably my least favourite roll, partly due to my bias against cream cheese. com bine pieces of salty pork with it, the flavour was not balanced. On the other hand, most of the issues with this could be alleviated if they merely redistribute the sauce. 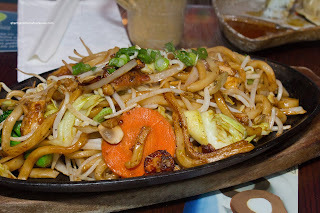 Our last dish was the Chicken Yakiudon which arrived on a sizzling hot plate. This, compared to the tonkatsu don was much more successful. There wasn't a big pool of sauce or residual moisture from the veggies which ensured that the noodles were caramelized with flavour. 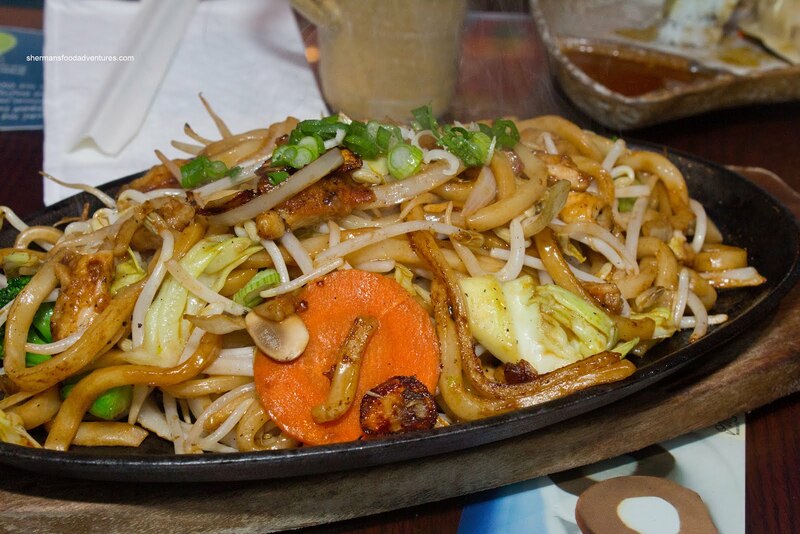 There was a good noodle-to-meat-to veggie ratio which also enhanced the dish. 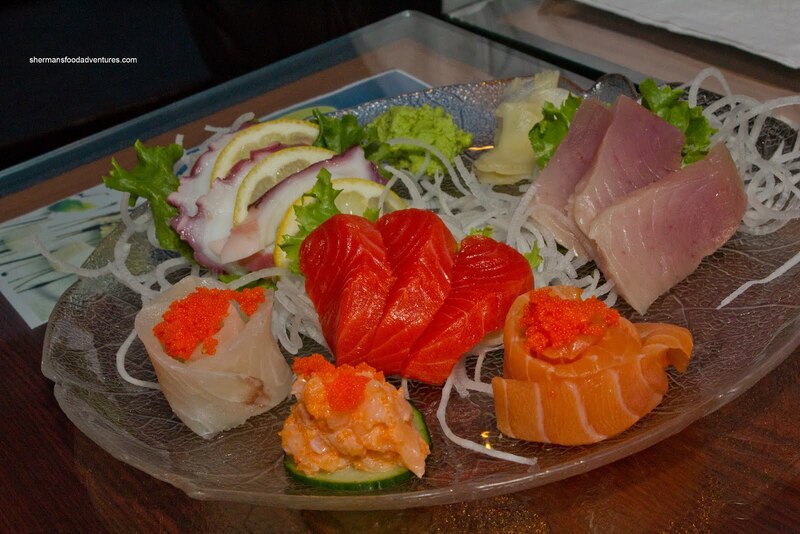 In terms of flavour, there was a level of acidity which balanced out the sweetness and saltiness. This was a decent end to a relatively decent meal. Sure, it ain't authentic, but the prices are reasonable and the proprietors are friendly. 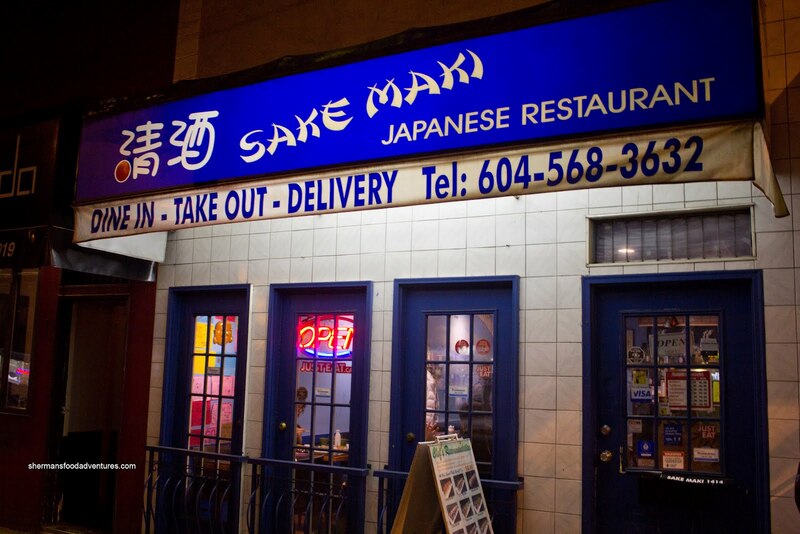 Yes, the sushi rice could've been better but if you accept Sake Maki for what it is, it's an okay place on the Drive.